Having a Small Business comes with a great deal of responsibility. Especially when it comes to doing business valuations while participating in business acquisitions. No matter how small-scale the business is, businessmen often evaluate their companies for a value that is either too high or too low, depending on the net revenues. Therefore, in order to know the fair worth of your company, you must be aware of all the basics of business valuations even when working with a professional service provider. There are multiple methods to determine the worth of the small business and, depending on what approaches are being used, the valuation can vary to a large extent. At AVG, we understand how important it is for small-scale industries and businesses to have a fair valuation in place, as these can further be used by the prospective clients and investors in their decision of investing in your company. – Market Assessment: This method requires market research and assessment to evaluate the valuation of other comparable businesses in your field. But this method is highly volatile, as the assessment is highly dependent on the fair market valuations, which can rise and fall over a period of time. – Asset-Based Business Valuations: In this method, we evaluate all of your business resources, possessions, assets, debts, and liabilities. Using this information you can calculate the exact business value by adding all the assets and deducting the sum total of the liabilities from the sum. This can be reflected in the company’s annual financial reports. But beware as this is the minimum value of your business. If your business is faring well in the industry it is advisable not to sell your business at the book value. 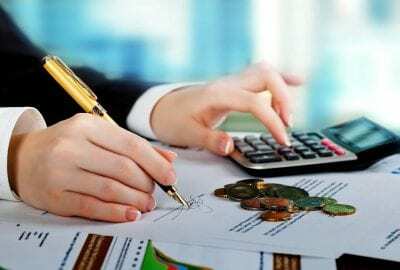 – Cash flow Projections and Income: In this method, a business’ financial history is evaluated. If your business is able to demonstrate its low-risk profile as compared to your competitors your small-scale business is evaluated at a much higher price. Considering how complicated and technical these methods can get, it is always a better choice to consult a well reputed and experienced appraiser for their professional financial services. Asset Valuation Group Australia is a team of professional advisors who ensure that they carefully plan and evaluate all the aspects of your business and give you the best valuations for your small businesses. To get your first consultation, click here.